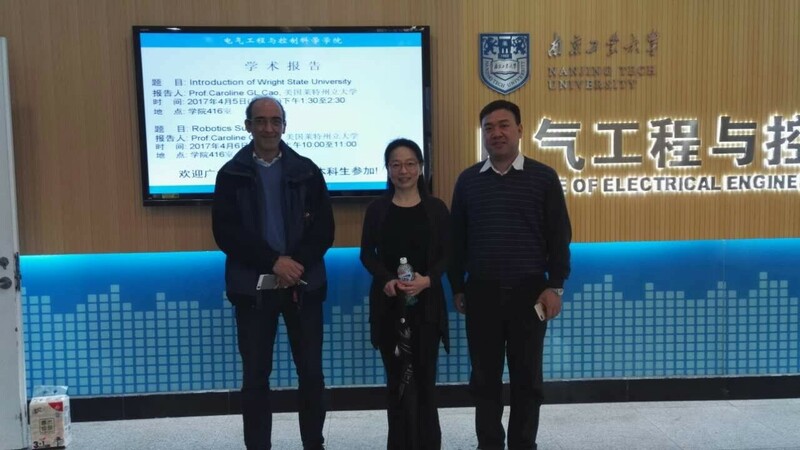 Professor Caroline Cao, US Fulbright Scholar to Vietnam, visited China’s Nanjing Tech University and the Nanjing Robotics Institute in March to exchange ideas for research in human-robot interaction. In addition, she also explored the entrepreneurial ecosystem in Nanjing. During the visit, she was able to plan a joint research project on gesture analysis for expertise.. Read More.. In February 2017, a team of two Lao English teachers, an American Fulbright English Teaching Assistant, and two American volunteer teachers living in Laos were led by Fulbright Scholar to Vietnam, Dr. Diana Dudzik, in a capacity building project to learn to adapt medical English materials for new courses at Lao’s only medical university. This.. Read More.. US Fulbright Scholar to Australia, Dr. Yolanda Moses, delivered her insights on the role diversity plays in creating inclusive educational, public, and corporate institutions which can in turn help create a more just and equal society for all. Her views were delivered at a speaker’s program in conjunction with Black History Month organized by Public.. Read More..
Fulbright Senior Scholar to Taiwan, Dr. Fredy González, (University of Colorado Boulder/Institute of Modern History, Academia Sinica) delivered two talks on his research on Chinese overseas in Latin America and around the Pacific Rim. The scholar, a faculty member at University of Colorado Boulder, delivered one talk at the National University of Singapore concerned his.. Read More..